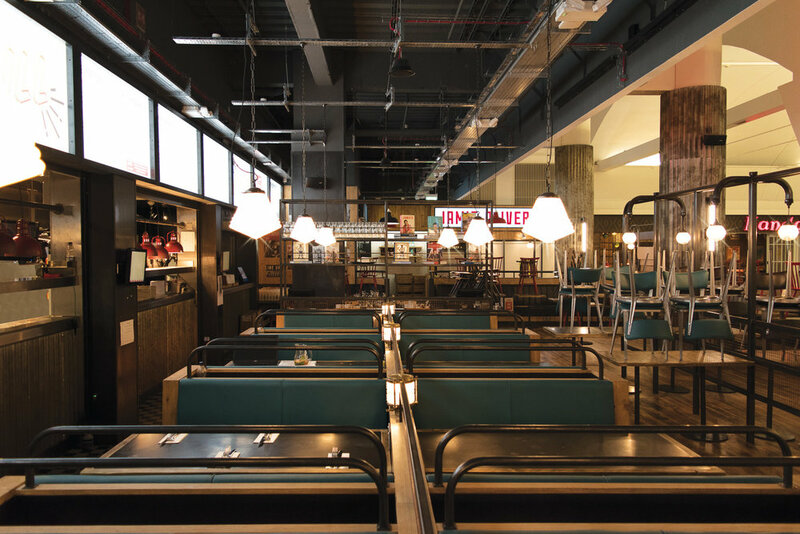 Jamie Oliver's Diner at Gatwick Airport's South Terminal is now open! Tekne were appointed principle contractor for the 12 week fit-out involving over 36 members of staff. The finished restaurant is the biggest single food outlet at Gatwick Airport catering for over 200 covers. Check out the gallery of images below, or you can find out a bit more information about this project by visiting the project portfolio write up.